The Niagara Kendo Club began in September 2004, thanks to a partnership with the Welland Wado Kai Karate clubs. We train at the Welland Martial Arts Centre, 40 Division St. in Welland, Ontario. Visitors and new students are always welcome. Just contact us first to ensure there are no special events or other disruptions to our regular schedule. The head Kendo instructor of the Niagara Kendo Club is Mark Kawabe (5th dan Kendo, 1st dan Iaido). His training spans 3 decades, starting at the Japanese Canadian Cultural Centre in Toronto and continuing at the University of Toronto Kendo Club. After university he spent two years in Hitoyoshi City (Kumamoto Prefecture), Japan learning the ni-to-ryu (two sword style) of Kendo. He was a member of the St. Catharines and Burlington Kendo clubs before founding the Niagara Kendo Club. He continues to train with a variety of Sensei, but primarily with Tsumura Sensei (8th dan) and the Japanese Canadian Cultural Centre in Toronto, Kimura Sensei (7th dan) at the Mississauga Kendo Club and Yamada Sensei (5th dan) at the Hamilton CJCC Kendo Club. The head Iaido instructor is Ron Mattie (4th dan Iaido, 2nd dan Kendo). His training spans 3 decades. He primarily trains at the Etobicoke Iaido Club. 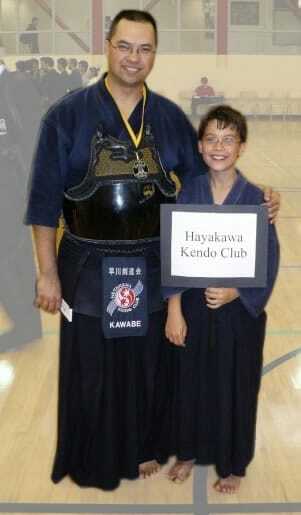 We started as the Hayakawa Kendo club in 2004. We changed our name to the Niagara Kendo Club in September 2016.